ItemCUMB_982.020.034 - Chinese Nationalist League Letter on the Leagues Letterhead. 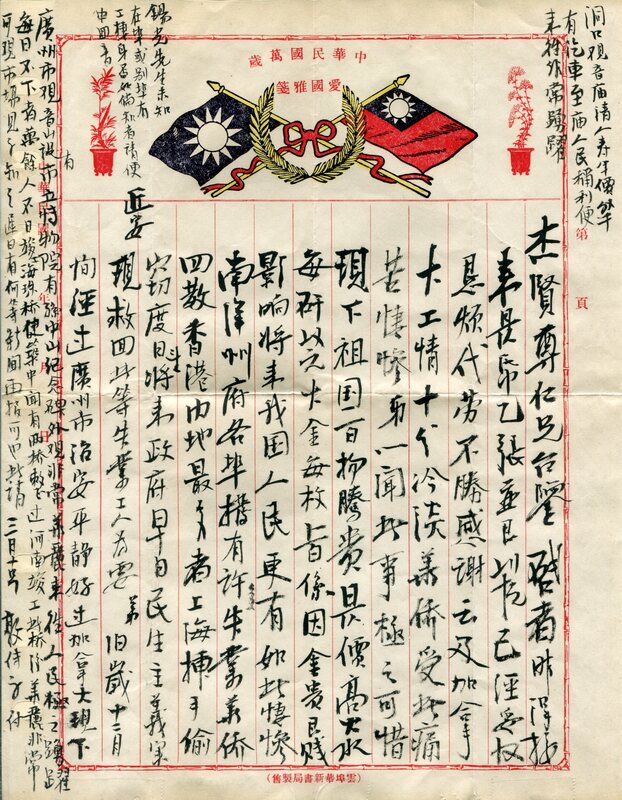 Item CUMB_982.020.034 - Chinese Nationalist League Letter on the Leagues Letterhead. 28 x 22 cm; 1 letter; league letterhead; paper; white, red, blue, black writing.